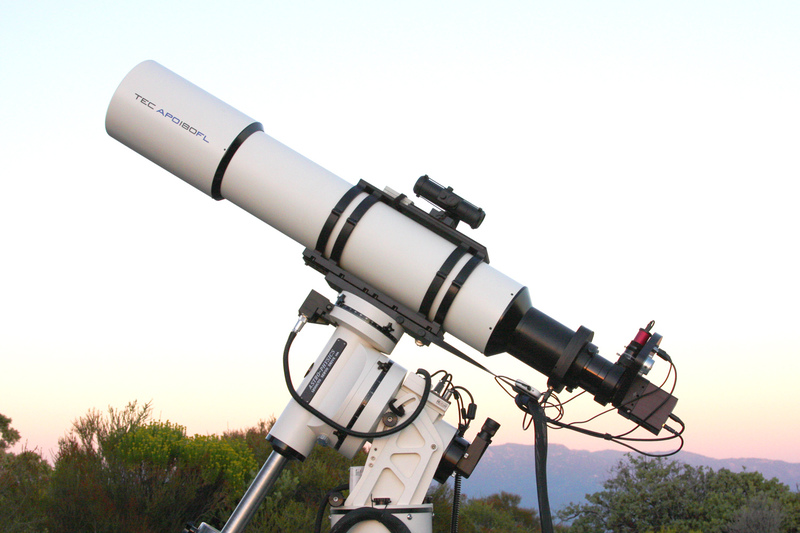 The TEC 180FL f/7 oil spaced triplet refractor. This design uses the CaF2 fluorite for it’s internal optics that provides excellent color correction and is the flagship of my astrophotography. It is a 7.09” 180mm Apochromat with a native focal length of 1260mm and a theoretical resolution of 0.66 arc sec, I use this with the TEC Field-Flattener that brings it to f/7.2 1296mm. This is sitting atop the Astro-Physics 1200 GTOCP4 mount. I use this scope with the FLI ProLine 16803 and MicroLine ICX694 cameras.